My first trip to the world famous Calanais Standing Stones on the beautiful Isle of Lewis in the Outer Hebrides, Scotland. I’ve been wanting to make the trip for a couple of years now and finally I made it. The stones are arranged in a cruciform pattern with a central stone circle for ritual activity dated back to the Bronze age and actually older than Stonehenge in England. On arrival approx 6pm the light was bouncing all over the place, it had been one of those typical Scottish days where you get all four seasons in one day, this can prove to be very successful for landscape photography as it seems to bring the purest of light, what I call magic light. However this can bring difficulties with light management …You need to be in control of the light, not the light controlling the image with dark shadows and/ or crazy blown out highlights. To do this I firstly used a Haida M10 CPL which is my go to filter to control highlights and lift some beautiful saturation. This still wasn’t quite right so I upped the game by using my Haida Red Diamond Medium 0.9 ( 3stops) … I was almost there but not 110% happy. I decided to expose for the foreground, stones, sunstar, skyline and clouds in separate manual exposures, knowing I could easily blend in post processing when back at my computer. Doing it this way also meant I could nail the focus better resulting in sharpness from front to back, I prefer this method rather than just going for one at say F16 or F22. The sky didn’t pop as much as I hoped due to the time of year and day time temperatures. I stayed till dusk quietly watching the sun dip below the horizon, all very peaceful. I hope you enjoyed my thought process and final image named “Ritual”. Don’t be defeated by the weather! 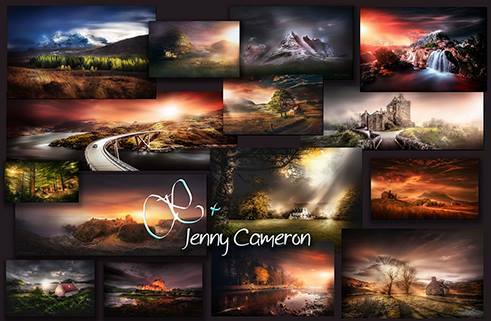 Jenny Cameron - Scotland based Professional Landscape Photographer and Haida Filter brand Ambassador living the dream with her Husband and two dogs.